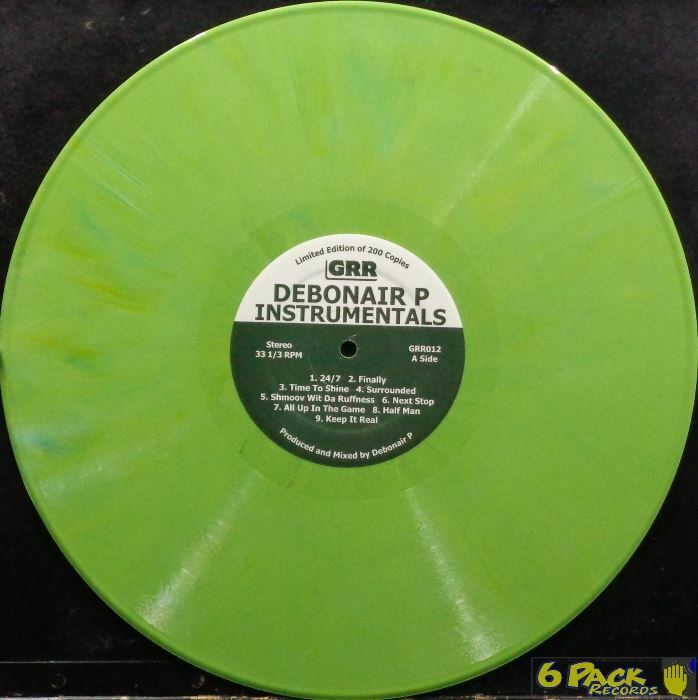 Limited Edition of 200 copies,100 in marbled green (like this one) - and 100 in frosted clear vinyl. A1. 24/7 . . . . . . . . . . . . . . . . . . ? A2. Finally . . . . . . . . . . . . . . . ? A3. Time To Shine . . . . . . . . . ? A4. Surrounded . . . . . . . . . . . . ? A5. Shmoov Wit Da Ruffness ? A6. Next Stop . . . . . . . . . . . . . ? A7. All Up In The Game . . . . ? A8. Half Man . . . . . . . . . . . . . . ? A9. Keep It Real . . . . . . . . . . ? B1. Love Or Fame . . . . . . . . . . ? B2. Cranium . . . . . . . . . . . . . . . ? B3. Two Of A Kind . . . . . . . . . ? B4. R.O.W.Y.C.P. . . . . . . . . . . ? B5. Respect . . . . . . . . . . . . . . . ? B6. Down Like That . . . . . . . . ? B7. Straight Like Dat . . . . . ? B8. Danger . . . . . . . . . . . . . . . . ? B9. Money. . . . . . . . . . . . . . . . . . ? Suche nach DEBONAIR P in meinem Shop.